The payments organisation is calling on the industry to provide feedback on its suggested NFC interoperability guidelines by 17 June. 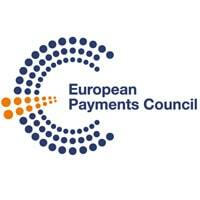 The European Payments Council (EPC) has released the final draft of its Mobile Contactless SEPA Card Payments Interoperability Implementation Guidelines for public consultation and the payments organisation is calling on the industry to provide feedback by 17 June 2011. The new guidelines provide a description of the mobile contactless payments ecosystem today and the stakeholders involved, with the aim of providing a clear understanding of the technology available and its deployment within the market. Promoting the use of open standards, which will avoid market fragmentation and the deployment of proprietary solutions with limited geographical reach. Providing transparency to market participants by clarifying the roles of key stakeholders. Stating the position and responsibilities of the EPC in relation to other industry bodies. Defining the adequate level of security for the whole mobile contactless payment value chain in order to establish confidence in this environment. Readers can download the 117-page document from the EPC’s website. Following the consultation period, the final version of the guidelines is expected to be published in October 2011.